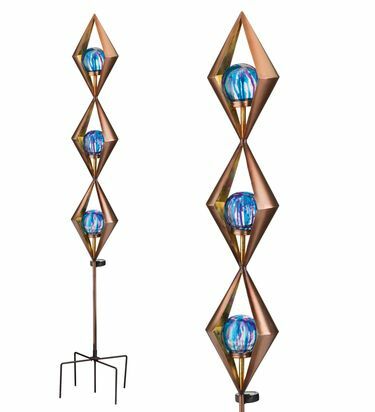 Looking for an impressive pair of ornaments for each side of a home or garden passage way? Our tall new 60" Solar Triple Diamond Passage Decor is surely an impressive sight! Size: 7"W x 60"H, Metal/Glass/Solar.